Born in Russia in 1828, Leo Tolstoy grew up to become a novelist, short story writer, essayist, playwright and philosopher. A master of realistic fiction he had little interest in academics when he was young. in 1851 he enlisted himself in the Russian army and served in the Crimean War (1854-1856). He records his experience in Sevastopol Stories (1855). Tolstoy produced an autobiographical novel, Childhood (1852), followed by Boyhood (1854) and Youth (1857) which earned him literary acclaim. 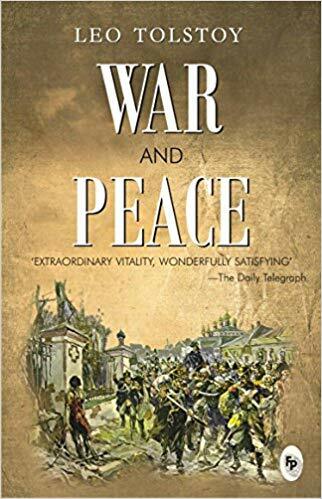 War and Peace (1865-1869) and Anna Karenina (1875-1877) remain two of his greatest novels. in his short autobiographical story, a Confession (1882), Tolstoy reflects on his mid-life existential crisis. the Death of Ivan Ilyich (1886) and What is it to Be Done led to his excommunication from the Russian Orthodox Church in 1901 for a radical anarcho-pacifist Christian philosophy. the Kingdom of God is Within You expresses his ideas on non-violent resistance. In the last few days of his life, while his health was deteriorating, he separated from his wife and left home. He died of pneumonia at a train station in 1910, at the age of 82.